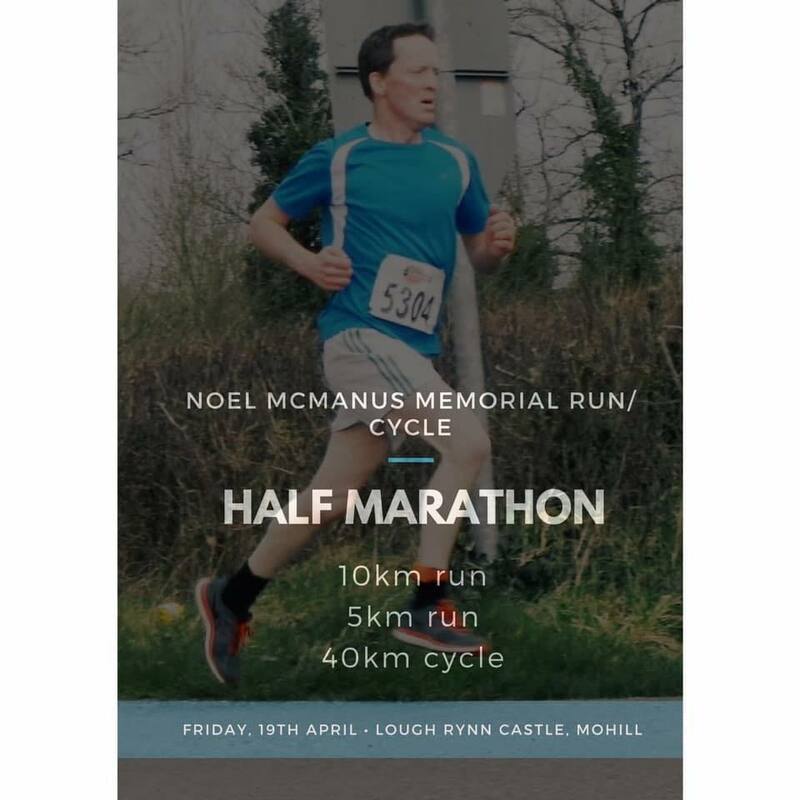 The Annual Noel McManus Run/Cycle returns on Good Friday, 19th April 2019 starting at the beautiful surrounds of Lough Rynn Castle, Mohill, Co. Leitrim. Walkers can register on the day at €10 and will not be chip timed or receive a tshirt. If walkers wish to be chip timed and receive a tshirt, please register above under the 5k or 10k option. All runners are chip timed. The cycle will not be chip timed – clock only with stop watch used for 1st/2nd/3rd. Registration/ number collection will take place between 7.15pm and 9.15pm Thursday night (18th April) and between 9am and 11.30am Friday 19th April. Parking is available on the hotel grounds. If people could car pool it would be great as we are expecting larger numbers than previous years. Participants are encouraged to wear their Noel McManus Run tshirt on the day. Prize giving this year will take place at the finish line. 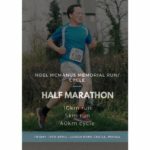 Prizes will be given in the following categories: Half marathon 1st, 2nd, 3rd place Male & Female, 10k 1st, 2nd, 3rd place Male & Female, 5k 1st, 2nd, 3rd place Male & Female, Cycle 1st, 2nd, 3rd place Male & Female. Also prizes in the 5k for under 16 1st, 2nd, 3rd place Male & Female and over 50 1st, 2nd, 3rd place Male & Female. As usual, refreshments will be served in the ballroom of Lough Rynn Castle Hotel.